Health Canada is winding down the funding for the Health Council of Canada, the independent body responsible for monitoring the results of the federal-provincial health accord struck in 2004. But with the $41 billion deal set to expire in 2014, a spokesman for Health Minister Leona Aglukkaq says wrapping up the council's work "just made sense." He says Aglukkaq has already announced it will be renewing and expanding funding for CIHI. The minister's spokesman said it is possible for the provinces to take over the council and "keep it going." But although the offer has been made, so far there has been no interest from them, and no complaints, says Outhouse. The council's chief executive, John Abbott, said Health Canada told him last week that its $6.5 million funding would continue through this fiscal year, but come to an end after that, with $4 million to close up shop in 2014-15. The council relies entirely on federal money to fund its operations. Abbott said the "federal fiscal environment" was cited in the explanation offered to him for the decision. "This did come right out of the blue," Abbott told The Canadian Press on Tuesday. Outhouse said the federal government is instead focusing its health spending "on patient-oriented research, things that are connected to front-line health-care service to Canadians, including transfers that go to provinces and territories. "It seemed like a natural time to make that transition," he explained. When the current accord expires next year, the federal government will continue to increase its health transfers to the provinces for 2014 to 2024, but at a lower rate of increase, and with no strings attached. Finance Minister Jim Flaherty abruptly unveiled a take-it-or-leave-it plan at a meeting of provincial and territorial finance ministers in Dec. 2011. He committed to a six per cent annual increase in funding for each of the first three years. After that, annual increases will be a minimum of three per cent — or more, if the economy is strong. 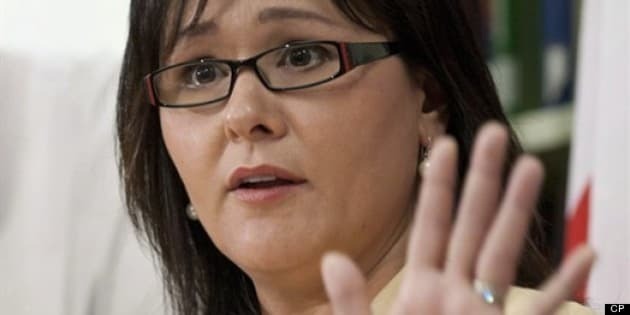 "I should emphasize that this is a decision about federal funding for the council, and that formal decisions about its future as an entity will need to be made collectively by us, the council's corporate members," Aglukkaq wrote. The council was formed to follow on from the work of the Romanow Commission and focus on both performance monitoring and accountability in the health care system. Some credit its work for helping to lower wait times and encouraging innovation in the public health care system to ensure access is maintained across regions and age groups. "Most of our reports were written so that the Canadian public could certainly have a better understanding of the issues at play and that they can use those reports to help hold governments accountable at the provincial and national level." Dr. Anna Reid, the president of the Canadian Medical Association, said in a news release Tuesday that "Canada's health care system needs all the information it can get, but instead we are about to lose one of the few bodies responsible for monitoring and measuring progress toward ensuring the health care system is able to meet the needs of Canadians." The Canadian Health Coalition urged the provinces to pick up where the federal government is leaving off so the work continues. “Universal health care in Canada is about to fragment into 14 separate systems operating independently from each other. The federal government is running away from its essential role as guardian of national standards and universal access to care for all Canadians regardless of where they live,” said McBane. The left-leaning Council of Canadians called the funding decision "scandalous." "The Council of Canadians views this as an intentional and very serious attack on the public health-care system in Canada and a clear indication that the federal government is not interested in the health of Canadians," Adrienne Silnicki, the group's health-care spokeswoman, said in a statement. "The federal government is no longer walking away from health care, it's sprinting at full speed," Dr. Ryan Meili, the group's vice-chairman, said in a statement. "Cutting funding to the Health Council means cutting information on sustainability, quality and efficiency of our health care system — information that Canadians should be able to expect from their government." "It's a lack of planning and a lack of foresight at minimum, and at worst, it's another indication that the federal government is abandoning its role in health care," she said. "So I think either way you look at it, it's bad news."